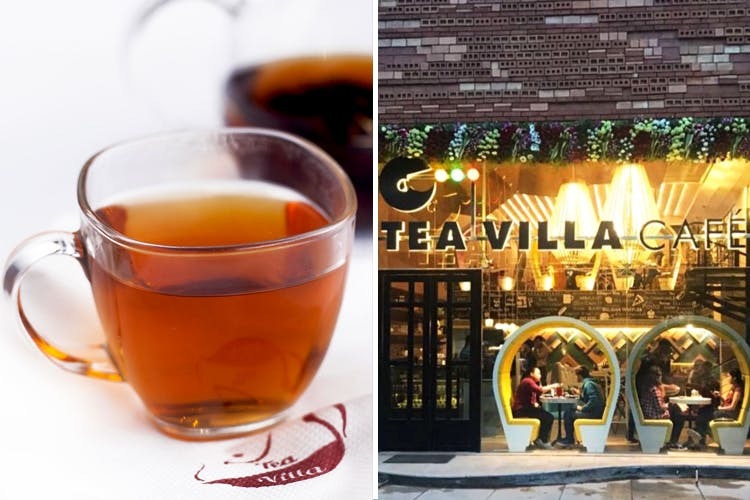 Mumbai-based Tea Villa Cafe has opened its first flagship store at Viman Nagar in Pune and is brewing over 50 varieties of flavoursome tea, infusing 100 different types of tea leaves brought to the city from all over the world. The range of teas served at the Tea Villa Cafe is known for its soothing effect and various health benefits. The cafe serves silver tips imperial tea, which is also one of the most expensive tea in the world. Known for its anti-ageing elements, a cup of this delightful beverage will cost INR 995 a cup. We recommend you try the golden Pu-Erh for INR 495, a vintage tea from China, fermented in a humid environment. Very earthy and intense, this classic variety is celebrated for its digestive properties. If you love your tea black, try their Mao Feng Keemum for INR 245 and the fennel chai with ginger root, cinnamon and fennel seeds with sambuca flavour, for INR 120. Beautifully brewed, organic and nutritious, the herbal coconut chai, apple tea, chocolate and mint tea, white rose and Moroccan tulsi are a must-try! The food menu, spanning across cuisine like Burmese, Mexican, Middle Eastern, Chinese and Asian, are quite delectable and healthy. We loved the Melon Arugula Salad, made of fresh musk melon, watermelon, goat cheese and caramalised walnut, for INR 250. If you love Mexican, you have to try their mouthwatering burritos for INR 225 and quesadilla for INR 250. However, what made our heart skip a beat was their delicious range of Belgian waffles. The nutty buddy waffle loaded with dark chocolate for INR 250 and berry blast waffle layered with blueberry, strawberry and raspberry puree for INR 225 are absolute love! If you love and know your tea well, this is the place to be! The rates are slightly expensive, however the flavour from each tea makes up for everything.